Even the dirtiest, harshest jobs won't destroy the will of these tough gloves. 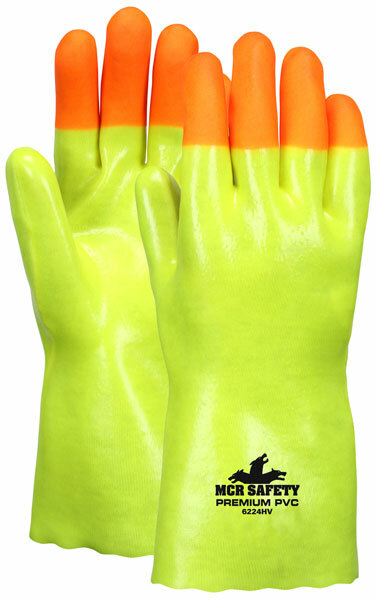 Hi Visibility Yellow single dipped PVC coated gloves with orange fingertips provide basic protection in light chemical applications. The 6224HV features a smooth finish, interlock lining and is 12 inches in length. The soft jersey lining keeps hands comfortable.